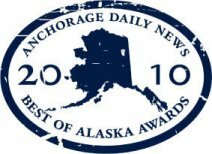 Voted BEST Chiropractic Center in Anchorage by YOU & the Anchorage Daily News 2010 and 2016! Thank you to all of our wonderful patients for your support! We are privileged to serve you! Thank you for visiting our site. At Mulholland Chiropractic Center we are dedicated to helping you improve your health and it shows! We approach your health with compassionate and specific Chiropractic care. Our office provides a relaxed, family friendly environment that respects the importance of your health. Whether you have been suffering from pain or seeking to optimize your health, we're here for you!